In 1967, when I was 23, I set off for Addis Ababa to take up my first teaching post. I was introduced to Haile Selassie, made a pilgrimage across the mountains on foot to the ancient city of Lalibela, hitched a ride on an oil tanker across the Danakil Desert, and was arrested for a murder I had not committed. Back in Britain, I focused on a new career - writing children's books - but I had always wanted to return to Ethiopia. My chance came in the late 1990s, when the British Council in Addis Ababa invited me to collect folk stories from every region of the country. During five long and enthralling journeys, I met ex-guerrilla fighters, camel traders, Coptic nuns and tribespeople. 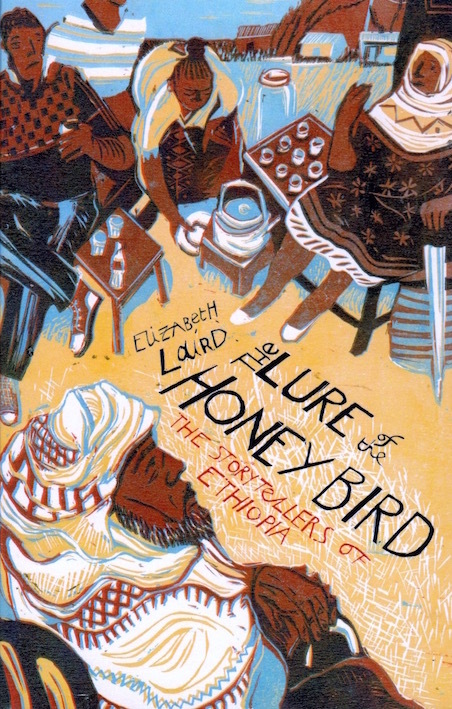 The Lure of the Honey Bird is my account of those journeys, interwoven with some of the haunting and beautiful of stories I collected, featuring princes and maidens, snakes and lions, zombies and hyena-women.